Curator: Marta Campo, Head Keeper of the Numismatic Cabinet of Catalonia of the Museu Nacional d'Art de Catalunya. The exhibition Gods and Myths of Antiquity provides a close-up of the divinities, myths and cults of the inhabitants of the Iberian Peninsula from the 5th century BC to the arrival of the Visigoths. The exhibition is organised in three sections, the first of which examines Greek and Oriental cults. The coasts of the Peninsula and of Eivissa were colonised by Greek and Phoeno-Punic populations who founded cities in which the inhabitants worshipped the gods of their lands of origin. 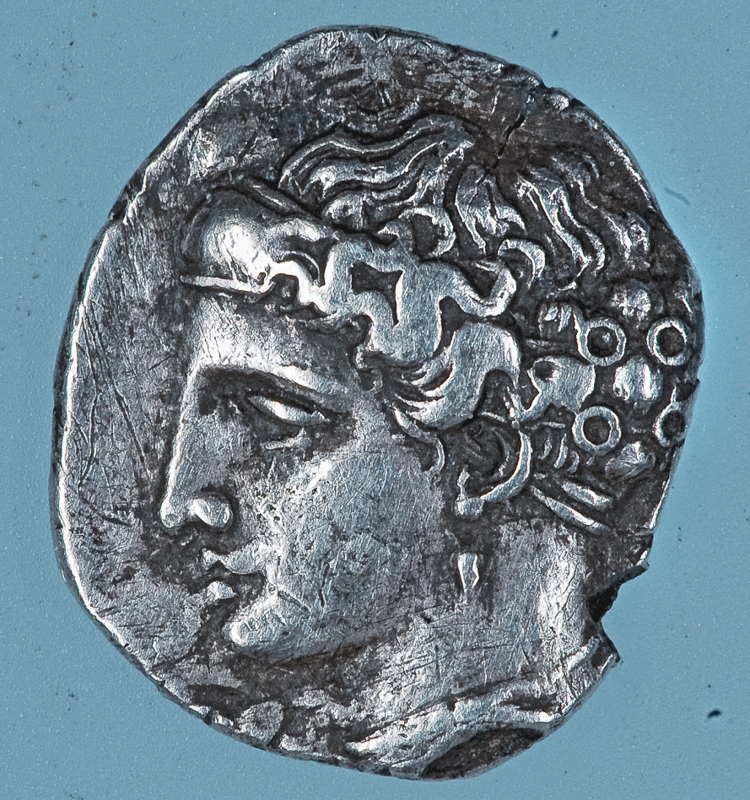 When these colonies produced coins they engraved them with images of the divinities and mythological beings forming part of their beliefs, such as Artemis, Athena, Zeus, Melqart, Bes and Tanit. The second part of the exhibition is devoted to the religious beliefs of the indigenous populations of the Iberian Peninsula. Very little is known about Hispanic divinities, either as regards their names or what they looked like. This is why coinage is of special interest, as it provides a record of the natives' gods in metal. What's more, the representations of plants and animals on the Hispanic issues confirm the importance of cults relating to the sacred universe of nature, also documented in shrines and material remains such as votive offerings or decorated ceramics. The third section looks at the presence of Roman gods and cults in Hispania up to the arrival of the Visigoths. Romanisation of the Peninsula went beyond just the economic organisation and exploitation of the territory. It also involved the introduction of Roman culture, in which religious beliefs played a very important part. Rome gradually imposed its gods and its holy rituals, something which is demonstrated by the monetary iconography of the early days of the empire. Roman religious practices persisted in the coins used by the Hispanic peoples until the arrival of the Visigoths, when the Christian cross replaced the pagan gods in monetary iconography.